It’s pancake Tuesday, yay! For the second year running, I have actually remembered that it is pancake Tuesday on the right day. Usually I am either early or very late to the party. I am keeping it very simple today. 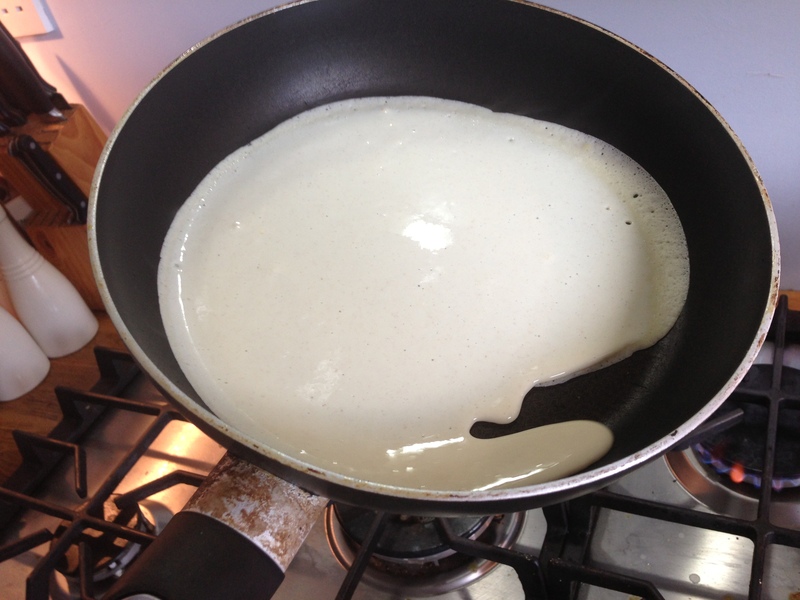 We are going back to the basics again and just sharing our simple and easy pancake (crepes) recipe. It is of course from the old reliable Good housekeeping cookbook. These are light and thin pancakes. When I look around, the majority of people are talking about the more american style, thick fluffy pancakes. But I like to go traditional and these are the pancakes we have been making in our family kitchen since I was very little. But for those of you who would like something a little more indulgent, try my Double Chocolate Pancakes from last year. A little while ago the lovely D and I were out to brunch. We chose items on the menu that we don’t make at home as usual, but D made a special request of pancakes for dinner. Not just a few, he wanted a stack of 50 pancakes so he could munch on them all evening and the next few days. 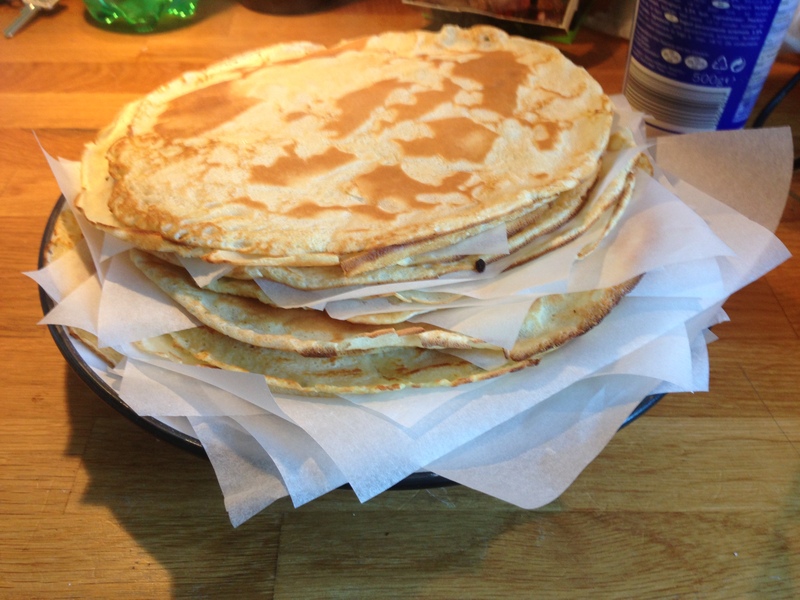 Now I looked a little surprised by this request but for dinner, sure enough, I made a stack of 50 pancakes. They were lovely. Topped with berries and yogurt, bacon and syrup and with cream cheese and hams. Over the next few days, every time I opened the fridge, a little stack of pancakes stared out at me. Needless to say, we didn’t finish them. Lesson learnt, next time just make one batch! Personally, we have found over the years, that the best oil for frying the pancakes is actually ‘Frylight’ 1 calorie spray. It coats the pan but the pancakes don’t swim in the oil. Sift the flour and salt in a bowl. Beat the egg and milk together in a jug. Make a well in the centre of the flour and add the egg/milk mixture a little bit at a time, mixing with a whisk between each addition. Once all the liquid is incorporated and you have a smooth thin batter, cover the bowl and leave to rest for 20-30 minutes in the fridge. Heat a non stick frying pan and spray/add the oil. 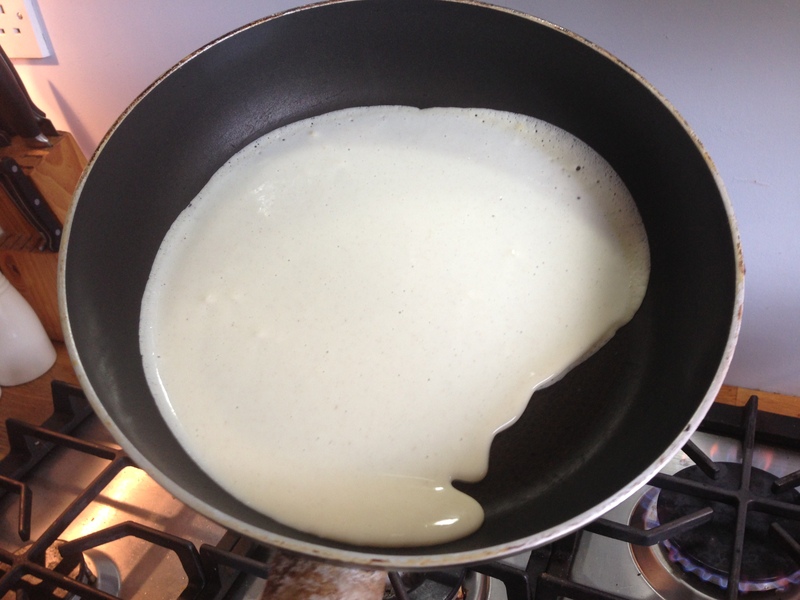 Pour enough batter into the pan (I use a 1/2 cup measure per pancake), starting in the middle, gently roll the frying pan in a round motion so the batter coats the pan evenly. 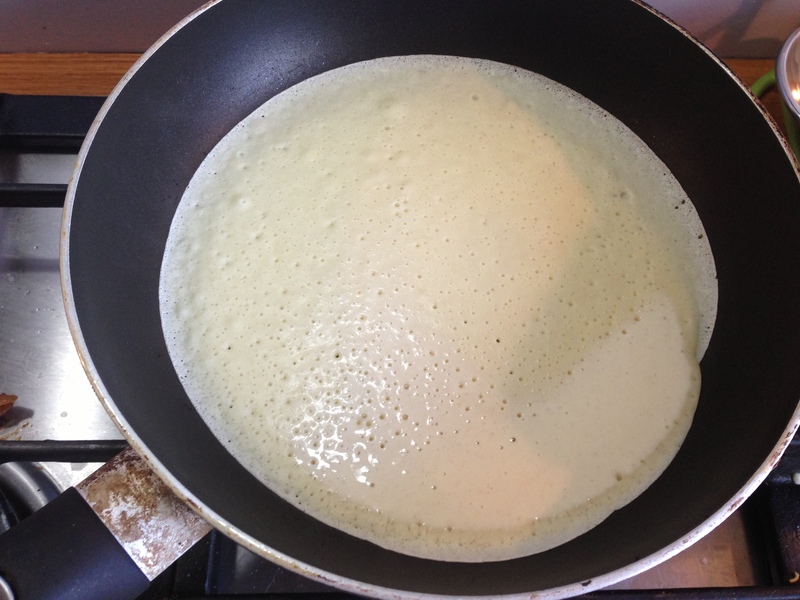 Cook over a medium heat for about a minute, the edges should slightly pull away from the sides with little bubbles forming on the batter and you should be able to flip or turn your pancake easily. When turned they should be golden brown. Cook for a further minute on the second side. The second side will brown differently as the bubbles form an uneven surface. 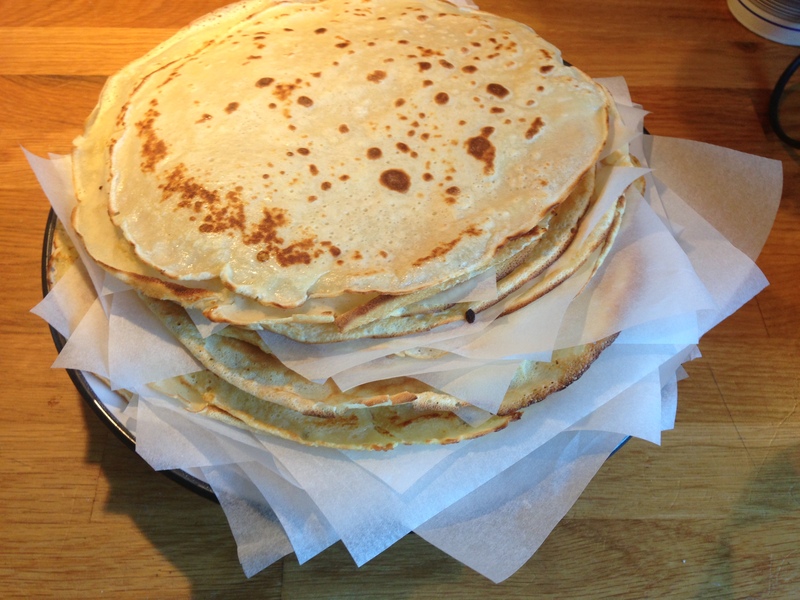 While you are cooking each pancake, to keep the already cooked pile from sticking together, I place baking parchment in between each layer. 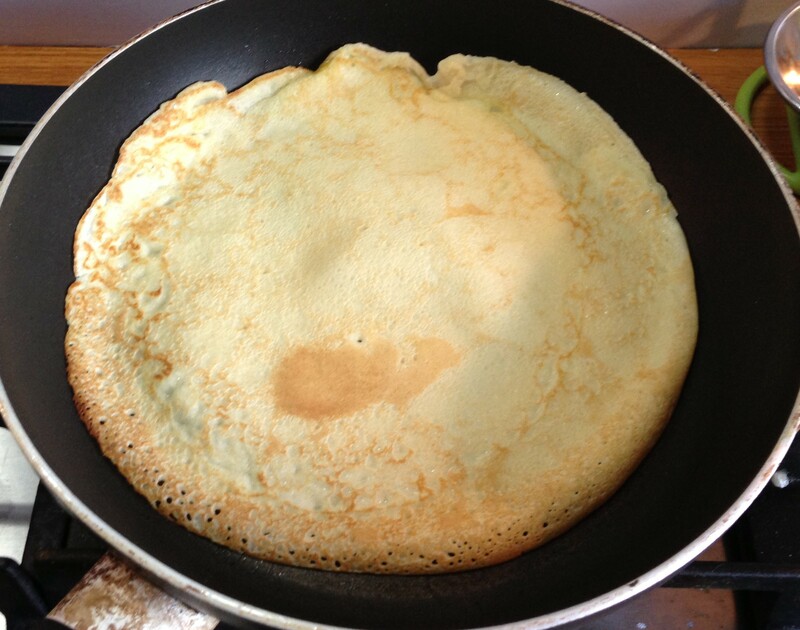 This is the basic old school pancake or crepe recipe. You can eat them with lemon and sugar or jazz them up by adding any fruits, yogurt, bacon, syrups or even go the savoury route and have cheeses and hams. The choice is endless! Those are pretty impressive looking!